This year's last day was a special day for me. I started 4th Series of the Ashtanga Yoga in 2008 and I just finished last Asana of 4th Series guided by Tim Miller today (12/31/2015). I will keep focusing my yoga practice and would love to learn the 5th series next year. Wishing all of you the best and thank you!!! P.S. 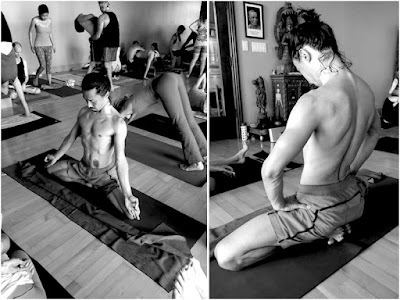 The Asana of picture is the first pose of 4th series, it took me 5 month with Tim's adjustment. It was very challenging pose for me.